As long as you use durable materials, an electric fence can easily last for decades. Posts form an important part of your fencing system and although the best choice may be more expensive to buy, you will soon recoup your investment in the years in which your fencing system requires no maintenance. Gallagher differentiates between corner and line posts for permanent and mobile applications. For a permanent fencing system you can choose from 3 post types; Insultimber, Ecopost or a Gallagher wooden post. 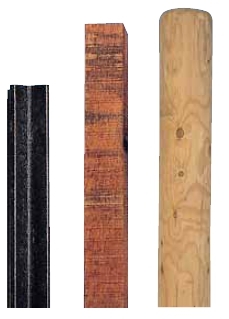 All 3 are durable posts and a 10-year guarantee is given on Insultimber and Ecopost. In practice these fencing systems last for decades: the best solution for a permanent electric fence. It is important to choose the right fence post: cheap usually turns our more expensive in the long run. Opt for quality. A sound portable fence starts with stable corner posts. Gallagher recommends a galvanised corner post that can also be used as a reel corner post. 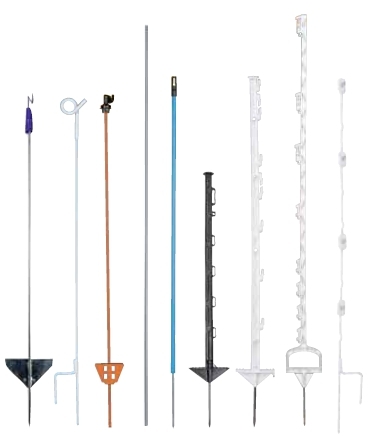 There is an ample choice of middle posts, ranging from a robust spring steel post to plastic posts in all conceivable lengths. All Gallagher plastic posts are UV-resistant and of durable quality. All Gallagher electric fencing posts are available from www.wildlifefencing.co.uk as well as all other Gallagher electric fencing products.